‘Saturday Night Live‘ has spawned so many careers it’s hard to count, it’s always been a staple of TV for me and on February 15, it celebrates it’s 40th anniversary. The show is responsible for introducing us to such legendary comedic geniuses as Bill Murray, John Belushi, Will Ferrell, Mike Myers, Dana Carvey and Tina Fey are among the notables. 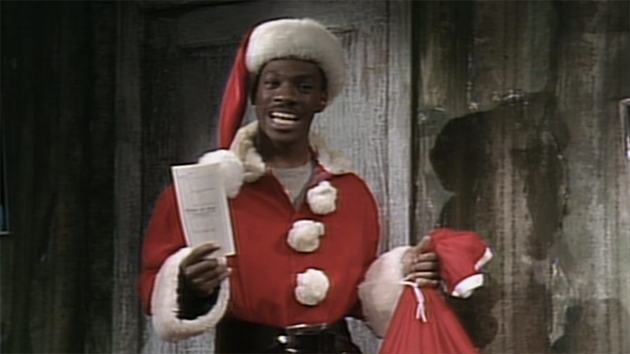 While we have no real clue what shape the celebration will take, we do know of one very special guest that will be returning to the boards of his comedic beginnings – Eddie Murphy. Murphy was one of the real stars that took off from SNL and never really looked back, the actor blames it all on timing and says he’s excited to return to a place where performing for a live audience and having the ability to connect personally is required. Murphy was a lead on the series from 1980-1984 moving on to TV and now as we all know him as the movie star he’s become. I join the majority of fans that would love to see Murphy joining the current cast, and former ones alike, for a night of fantastic skits, not just re-hashing of what was with stale and trite clips. You’ve got the world’s funniest cast at your fingertips – use it! See what 40 years of SNL looks like on Sunday, February 15 on NBC from 8-11 pm. This entry was posted on Friday, January 30th, 2015 at 4:01 pm	and is filed under Events, News, Television. You can follow any responses to this entry through the RSS 2.0 feed. You can skip to the end and leave a response. Pinging is currently not allowed. « Multi-Media Men Podcast #52: TCA Conference Talk and ‘Boondock Saints’!! [sniffs air] I don't smell anything.